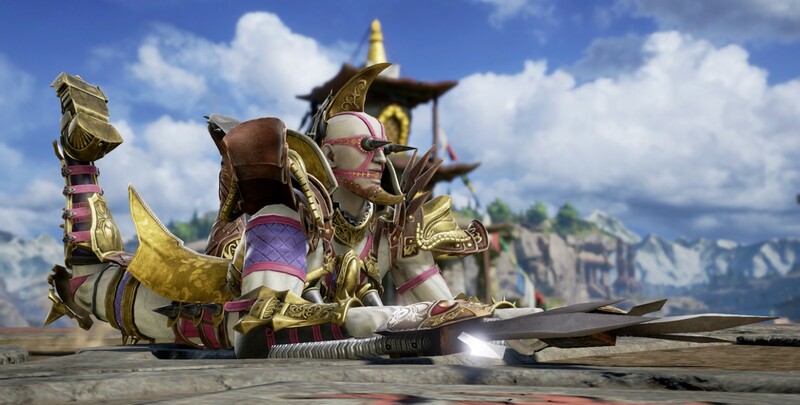 Voldo is as associated with Soulcalibur as Sophitia or Mitsurugi, with his dancing blade style and overall weirdness attracting people to Soul Edge arcade machines since 1995. Now the Italian bodyguard is coming to Soulcalibur VI, much like he did every single other Soulcalibur title, to the surprise of no one but the delight of many. Check out this video of Voldo in action. The new design puts a mask on the back of Voldo's head, making him even more off-putting than ever. Soulcalibur VI launches on PlayStation 4, Xbox One, and PC on October 19.